What a great time we had learning about Taylor, a project management and business analytics consultant based in Seattle! 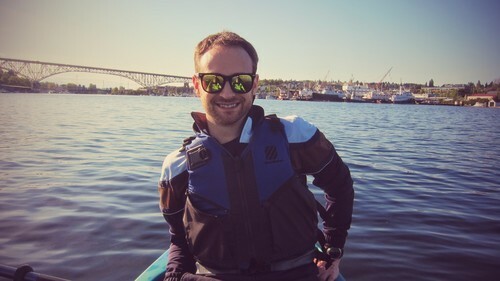 Taylor has lived all over the place – Kansas, Chicago and Toronto – but is enjoying the Pacific Northwest’s vibrant technology community and amazing weekend adventures! What’s most interesting about Taylor? 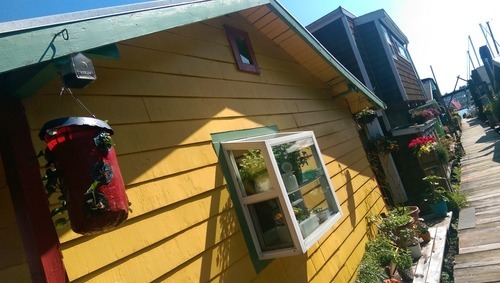 He recently moved from his loft in Lower Queen Anne to a floating home! Tell us about yourself: Your interests, activities, and how you first heard about Storrage? 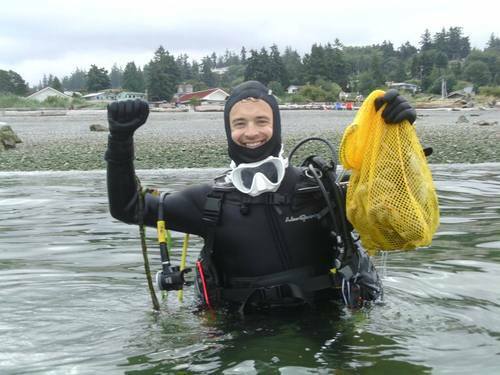 I’m a certified SCUBA Divemaster and dive for fun off Alki, Mukilteo, Edmonds or the Hood Canal. I moved from a ~1000 square feet loft in Lower Queen Anne (where I started using Storrage), to a floating home in Lake Union. It’s a 1920s 600 sq. foot house on a beautiful and peaceful dock, which is a unique experience, but I couldn’t do it without a little assistance in organizing! What do you think are the key benefits of using Storrage? The extra storage on a floating home is crucial given the limited footprint. I love the ability to do this without the pain of renting a storage unit and driving back and forth, and shuffling seasonal items from front to back like a cardboard Rubik’s cube. Also, when moving in the city from apartment to apartment, a super bonus I didn’t even think of– I don’t have to do anything to move my storage! The stackable nature of the blue Storrage boxes and packing materials help in the game of apartment Tetris. Having the app organize my stuff through short descriptions is helpful, the pictures I take even more helpful and what is probably the most useful feature – categories or labels to classify boxes in groups. The categories make my goal “deliver Christmas decorations” a speedy process. Think, click and there it is. Other groups I have are for summer activities. I love SCUBA, I even don’t mind the cold water but I have little love for December diving in Puget Sound even with a dry suit. So I keep some of my SCUBA gear (my 7mm wetsuit) in a box waiting for brighter days. Also, instead of letting my bike rust in the rain it stayed dry in Storrage. The Storrage drivers (Eugene has been my primary) have been on time every time and very excellent communicators, especially in welcome fashion, by text. They’ve been flexible and accommodating on scheduling. They’re really friendly guys and do their job well. I trust them to take care of my stuff and I’ve been recommending them to everyone I know as an innovative solution to the apartment woes of the urban and mobile.